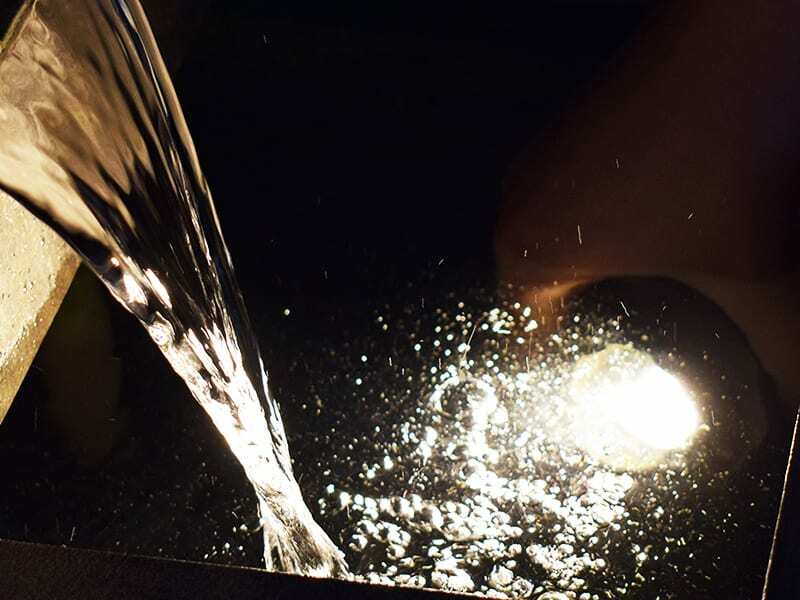 This Summer, Lumena are re-promoting their range of high-end 12v underwater lights, with an upgraded version of the Marine Grade (316) Stainless Steel ‘Nautilus’ light. The new design is part of the Versa 12v ‘Plug & Play’ range, and is now even easier to connect via the 2 pin connector with no wiring involved. The light plugs directly into a transformer or into a 3 or 6 way ‘splitter’ for multiple lights. Another improvement is the longer 5m cable, making installation and positioning more versatile. Over time Lumena will be upgrading all 12v products to ‘Plug & Play’. The Nautilus designs as well as the recent ‘Argonaut’ design are all naturally durable – built to last and attractive. The Argonaut is part of Lumena’s expanding range of elegant Solid Brass products. It’s rustic Bronze finish co-ordinates beautifully with the many colours and textures of the garden. It has an integrated glare shield which protects the lens and focuses the light. The other larger Nautilus model is Natural Brass, in a visually captivating Gold finish. New Brass products Coming Soon ! Lumena fully submersible lights are 12v and rated IP68. All designs have adjustable heads, and the two Brass lights have large slots in the mounting base. This enables the light’s position to adjust without the need to re-mount. Although totally waterproof, they can of course install in any area of the garden and look fantastic on decking, or surface mounted on any surface. Garden Ponds and water fountains are decorative features by design. With added illumination, an eye-catching dimension is brought to life when darkness falls. Place lights within the water to provide beautiful ‘mirror’ and shimmering effects. If placed by a waterfall-style feature and directed to where the water splashes, amazing extra sparkle is added. With a coloured dichroic lens, extra special effects can be created, especially using the Blue lens. Use a Daylight White LED bulb for extra ‘cooling’ effects.